Cricket Australia is pushing ahead with a series-opening Test against India at the Adelaide Oval in the hope of securing agreement on a day-night format. 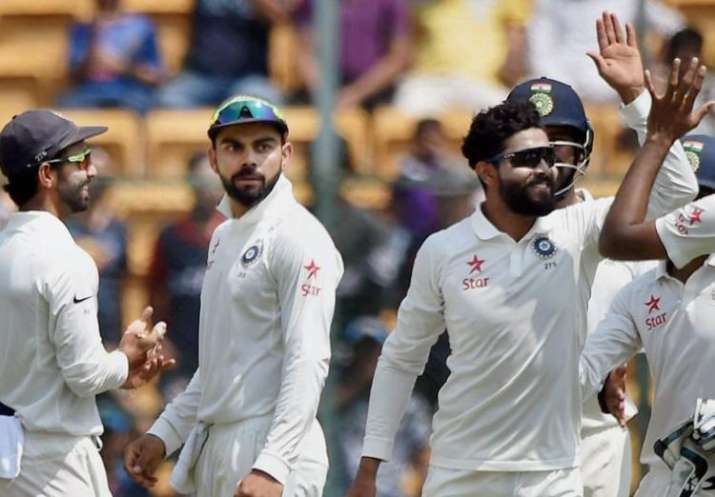 Cricket Australia is pushing ahead with a series-opening Test against India at the Adelaide Oval in the hope of securing agreement on a day-night format. Australia have hosted four day-night Tests, including three in Adelaide, but is yet to convince the Board of Control for Cricket in India to go ahead with the pink ball match under lights. The Australians have won all four matches they've hosted in the day-night format, including the first ever against New Zealand in 2015 and last year's Ashes first against England. CA chief executive James Sutherland on Monday released the schedule for the 2018-19 Australian summer, which will feature a four-test series against India and a two-test series against Sri Lanka. "It is our preference that we play India in a day-night test match in Adelaide, but we are still working through this detail and hope to have an answer on this in the coming weeks," Sutherland said. The Gabba ground in Brisbane has lost its status as the season-opening venue, and instead will host a day-night Test against Sri Lanka starting Jan. 24 and running over the Australia Day long weekend. The second Test against Sri Lanka will start Feb. 1 at Manuka Oval in Canberra, giving the Australian capital its first Test match. Australia will play India at Adelaide starting Dec. 6, then move to the new stadium in Perth for the second Test starting Dec. 14. The traditional fixtures on the Australian calendar will remain for the third and fourth Tests, with the Melbourne Cricket Ground hosting the Boxing Day Test starting Dec. 26 and the Sydney Cricket Ground hosting the new year's Test starting Jan. 3. The Test series will be preceded by a limited-overs international series and a Twenty20 international against South Africa in November. Australian cricket has been in turmoil since a ball-tampering scandal in South Africa last month led to 12-month bans for Test captain Steve Smith and vice-captain David Warner. The sanctions mean Australia's two leading batsmen will be unavailable for selection for the home summer. Nov. 25 - Sydney - Australia vs. India, 3rd T20. Dec. 26-30 - Melbourne, Australia - Australia vs. India, 3rd test. Feb. 1-5 - Canberra, Australia - Australia vs. Sri Lanka, 2nd test.